Reflections on the "Stonehenge Skeletons"
Several people who have read my novel, Undreamed Shores, set in the age of Stonehenge, have asked me to comment on the recently broadcast Channel 4 documentary, "Secrets of the Stonehenge Skeletons" (available, if you missed it, at www.channel4.com/programmes/secrets-of-the-stonehenge-skeletons/4od). Here are a few thoughts. As historical writers, we all weave our stories from a blend of hard facts, deductions from those facts and subjective interpretations based on those deductions. We use our imagination to fill the gaps between the things we know, the things we think we know and the things we are conscious of not knowing. When we write non-fiction, speak at academic conferences and teach courses, we do our best to keep these categories separate, and to show the demarcations between them. When we write novels, or collaborate in the making of TV programmes, they inevitably get mixed up together. Sometimes simplification leads to confusion. The programme starts out by saying that, until now, "we" had assumed that all the stones at Stonehenge were of the same date. Well, no we didn't. 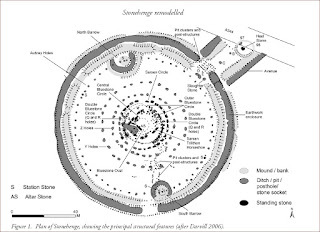 As an undergraduate in the early 1980s, I was taught that there were several components to Stonehenge, and that these were likely to be of different dates. Phase 1. The bank, ditch and avenue. Phase 2. The "Aubrey Holes," which we knew contained cremated human remains. Phase 3. 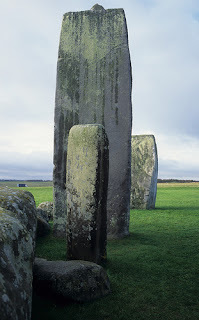 The bluestones, brought from West Wales, though not necessarily in their current position. Phase 4. The much larger sarsens, including the trilithons. Phase 1. The bank, ditch and "Aubrey Holes," 3330-2895 BC. Phase 2. The sarsen trilithons and circle, and the double bluestone circle, 2670-2340 BC. Phase 3. The avenue, 2580-2200 BC. Phase 4. The bluestone oval and outer bluestone circle, 2480-1930 BC. Note that the dates for Phases 2-4 overlap, leading the authors of the detailed report, including Professor Mike Parker-Pearson, who appears in the TV programme, to conclude that the "major settings" (i.e. 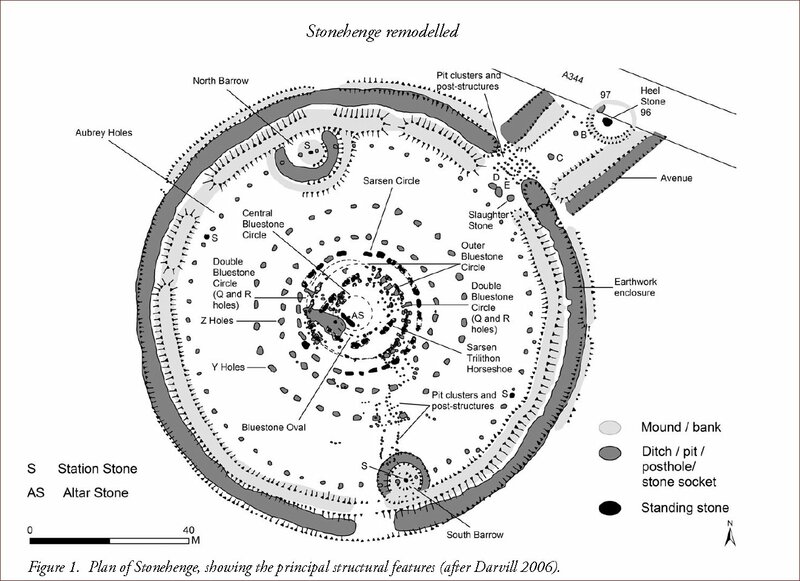 the sarsen trilithons and the sarsen and bluestone circles) are the product of "...a single (relatively quick) unitary episode of activity, rather than the result of longer and more piecemeal episodes of construction." 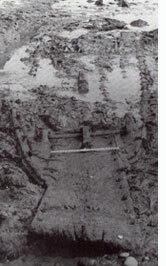 The big surprise, which I didn't know about when I wrote Undreamed Shores, is the evidence (which I haven't seen in detail, but which sounds convincing enough) to suggest that some of the bluestones which currently make up the Phase 2/4 settings stood originally in the "Aubrey Holes," meaning that they were brought to the site much earlier than we had previously assumed. That's potentially a problem for Undreamed Shores, in that my protagonist, Amzai (in 2400 BC), believes the bluestones to have been brought to the site during his wife's childhood. Perhaps some of them were, but, in any case, the reader of the novel is not made party to the "whole truth" (quite deliberately so, on my part, since I was aware that there were elements of the "whole truth" that I couldn't be certain of), but only to the truth as understood by Amzai, a stranger in the world of the builders of Stonehenge, who is reliant on what he has been told, and who, in any case, probably has an imperfect grasp of the language. At around noon today, a replica of a Bronze Age boat will be launched into the sea at Falmouth. We should all be able to follow the event live on the webcam of the National Maritime Museum in Cornwall (www.nmmc.co.uk) from 11.30 AM GMT. A collaborative project between the University of Exeter and the National Maritime Museum in Cornwall (and funded by the Arts and Humanities Research Council), the boat has been built over the past year by a team of volunteers led by master boat-builder, Brian Cumby, using only Bronze Age tools and tecniques. A series of videos, showing the various stages in the construction of the boat can also be viewed at http://www.youtube.com/user/falmouthvideos?feature=watch. The boat is of a remarkable construction, with no equivalent in the modern world, the great oak planks of which it is made literally sewn together with twisted yew withies. It is unsurprising that an earlier attempt failed, the boat sinking within moments of its launch: Cumby and his team are venturing into areas of craftsmanship that have not been attempted for more than 160 generations. 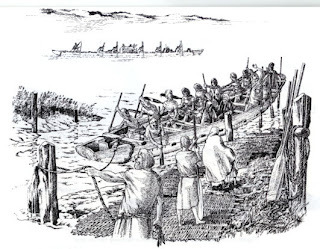 "The boat was quite unlike the ones that Amzai had seen before. It was neither a dugout nor a raft, nor a skin-covered boat like the one in which Amzai had travelled to this land. It was a large flat-bottomed craft, of wooden planks that had been sewn together with ropes and caulked with clay and moss...They took turns paddling, ten at a time, those who were resting sitting fore or aft of the paddlers...they slipped through the narrow channel between the mudflats and the end of the shingle bar, into the open sea..."
The North Ferriby 1 boat (dated 1890-1700 BC) at the time of its discovery. There has been one previous successful attempt at reconstructing a half-scale replica of one of the Ferriby boats (named "Oak Leaf") and, in trials, it was found to be able to travel at speeds of upto 6 knots. 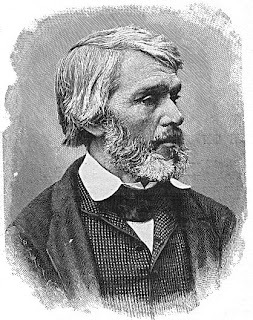 The characters in Undreamed Shores take their boat across the English Channel, and I used the evidence of the "Oak Leaf" trials, combined with a modern understanding of the tides and currents, to estimate the length of the journey. The boat to be launched today will not be crossing the Channel just yet, and perhaps never (I, for one, would think twice about taking such a vessel across the modern commercial shipping lanes), but it should give us a glimpse into the vanished world of our ancestors. Mark Patton's novel, Undreamed Shores, is published by Crooked Cat Publications, and is available from www.amazon.co.uk and www.amazon.com. The recent debate over the teaching of history in schools has set me thinking about the lessons that actually inspired me. I didn't have to think for long. The first was not a formal part of the school curriculum at all, but rather an excursion for local children organised by the local museum and learned society in Jersey in the summer of (I think) 1975. Dubbed "A Day with the Dolmens," it took in eight of the island's Neolithic burial sites. Twenty years later, I published Neolithic Communities of the Channel Islands, an academic monograph featuring all of those sites, and many more. Thirty-seven years later, I published Undreamed Shores, a novel which features four of the eight sites I saw that day. Inspiration enough for a lifetime of research, teaching and publication from just one day of teaching. The second came in 1976, when I was eleven. It was a more conventional school-based project. 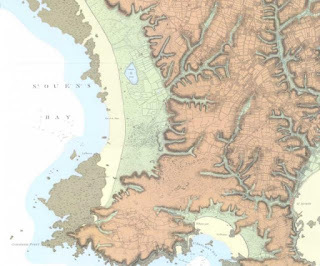 We were given photocopies of an 18th Century map of the area surrounding the school, and sent out into the landscape in small groups, to explore it through the eyes of our seven or eight-times-great-grandparents. It was the first time I had worked from a primary source, and it quickly became as natural to me as spreading butter on bread. 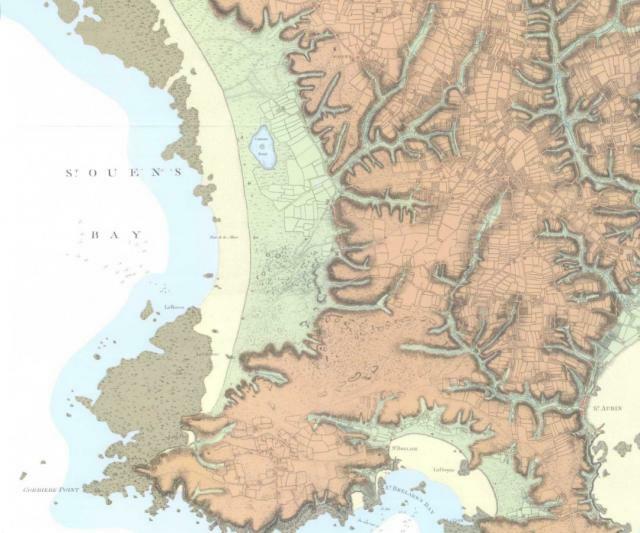 Part of the Richmond Map of Jersey, 1795. It helped, of course, that I was already fascinated by history, an engagement that came largely from fiction. It helped, also, that my parents, though they had little specific interest in history themselves (the dry curricula of their schooldays having bored them rigid) encouraged me to take an interest in all aspects of the world around me, and regularly took me to places of interest, both at home and on holiday. Even with these advantages, however, I fear that the curriculum proposed by Michael Gove will leave little room for the next generation to be inspired as I was. The proposed curriculum is to be "chronologically based" (ensuring, as one commentator has said, that everyone will leave school with a seven-year-old understanding of the Saxons, a 10-year-old understanding of the Middle Ages and a 14-year-old understanding of the Industrial Revolution), and is to focus on a single, clear "narrative of British progress," and on the "heroes and heroines of the past." The inspiration for all of this lies in the work of two men, both of them contemporaries of my five-times-great-grandparents. 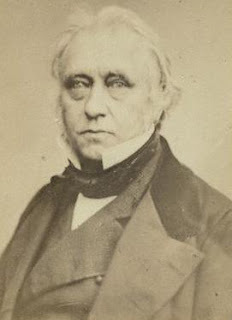 The first is Thomas Babington Macaulay, whose five-volume History of Britain (1848-1875) is the defining work of the "Whig view of history," which has stood largely discredited throughout the 20th Century. 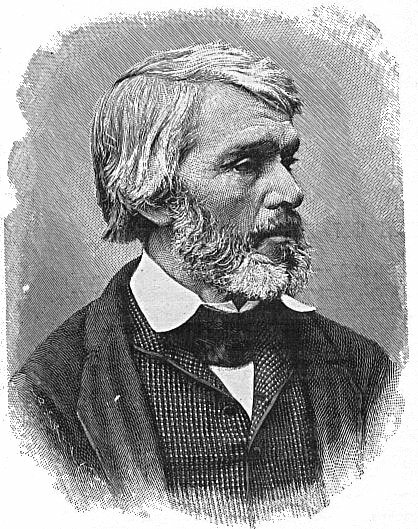 The second is Thomas Carlyle, whose book, On Heroes, Hero-Worship and the Heroic (1841) inspired several generations of colonial administrators, but makes pretty uncomfortable reading for most of us in 2013. I am not suggesting that the work of either man should be neglected or dismissed, any more than I would wish to displace the Diplodocus from the great hall of the Natural History Museum, but I would suggest that these works can no more stand as the cornerstones of history in the 21st Century than the dinosaurs can be seen as offering a way forward for the evolution of life on Earth. Surely the work of 20th and 21st Century historians (and not only British historians, or historians of Britain) must count for something? There should be scope for some flexibility in the curriculum, so that teachers can be inspired to address key themes in relation to those periods they know most about, and scope, also, for teachers to make use of the historical resources provided by the local context. Above all, there must be scope for inspiration that goes beyond the Gradgrindian emphasis on facts that bored my parents throughout their time at school. These are among the reasons I have signed the petition (http://epetitions/direct.gov.uk/petitions/46338) against Michael Gove's plans, and would encourage others to do likewise.